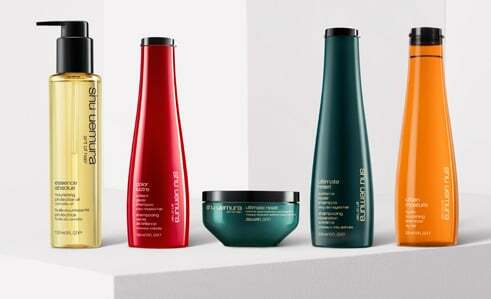 Shu Uemura Art of Hair celebrates the 2018 holiday season by indulging in the most gourmet collaboration! 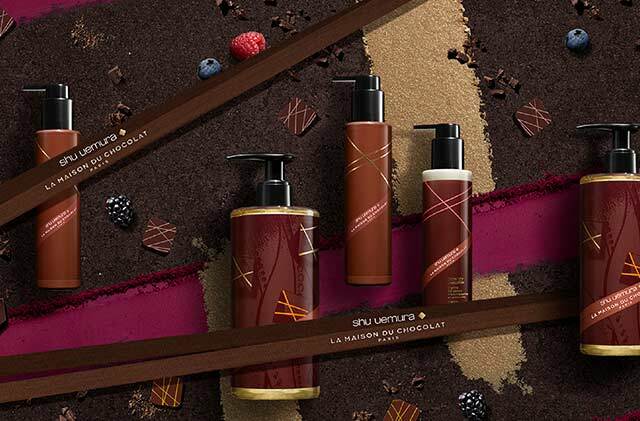 A meeting of sensorial experiences that appeal to all the senses: haircare and chocolate – it’s a match made in heaven. An irresistible holiday collection with the renown french parisian chocolatier house, La Maison du Chocolat, to create a collection that is so deliciously beautiful, that any gourmand would be tempted to eat. 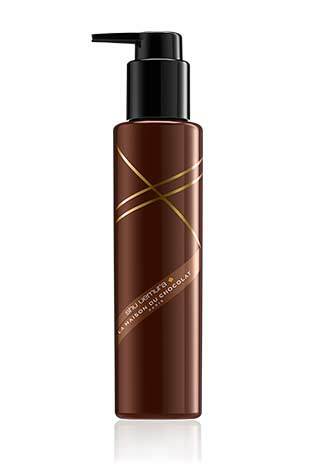 Formulated with delicate ingredients, this cleanser effectively draws out the impurities and buildup on the scalp, leaving hair soft and shiny with a lightweight finish. 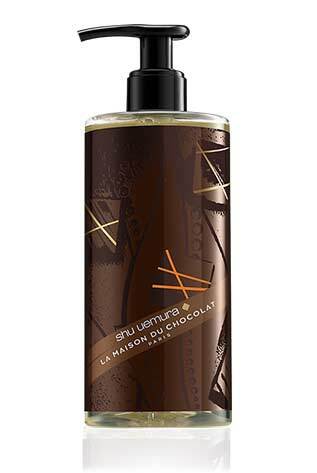 Multi-use hair oil that moisturizes and protects hair with intense nutrition – now enriched with cacao for an innovative & tasty chocolate experience. 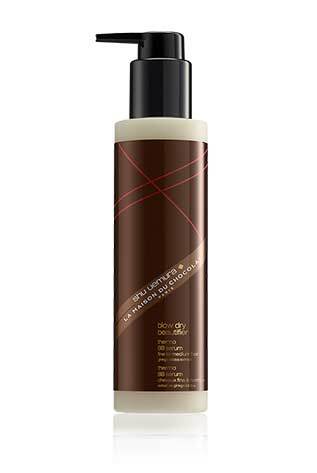 Thermo-protective, multi-benefit blow-dry perfector formulated with gingko biloba extract for antioxidant and healing properties. 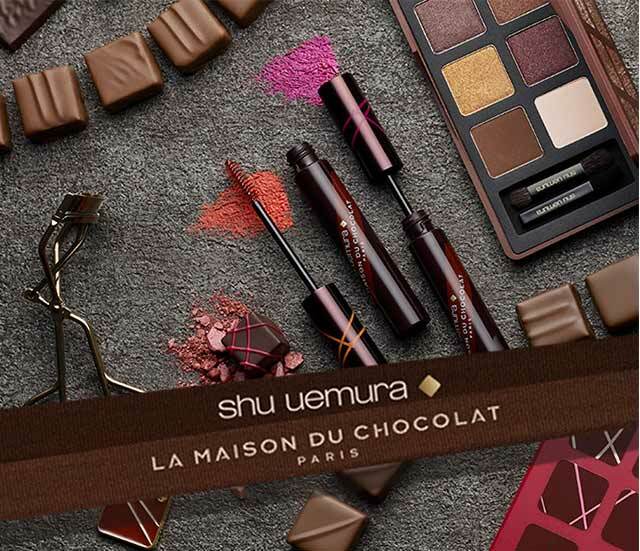 An irresistibly delicious makeup collection.